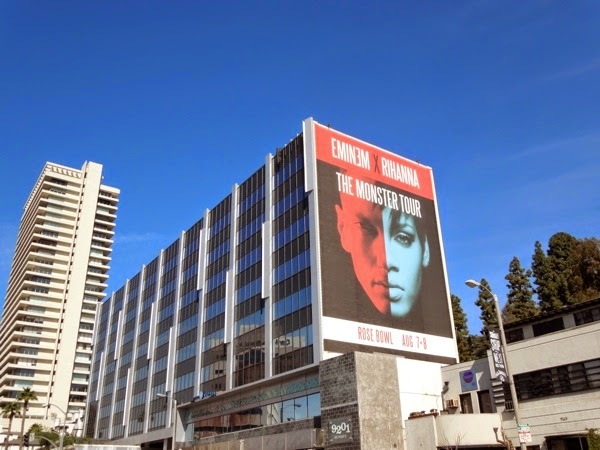 How do you please fans of Eminem and Rihanna in one fell swoop? 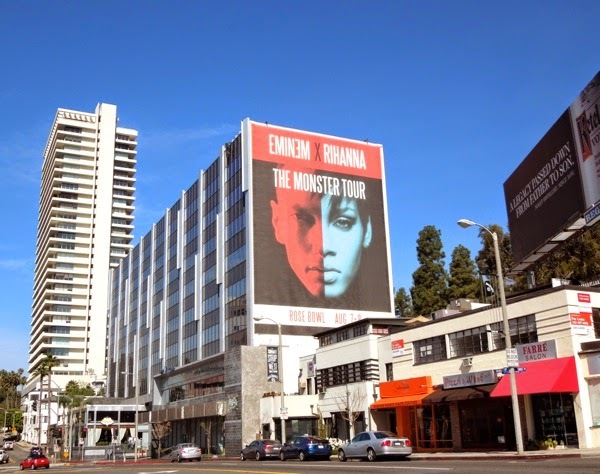 With a striking two-tone billboard mashing up the recording artists faces along L.A.'s infamous Sunset Strip, that's how. 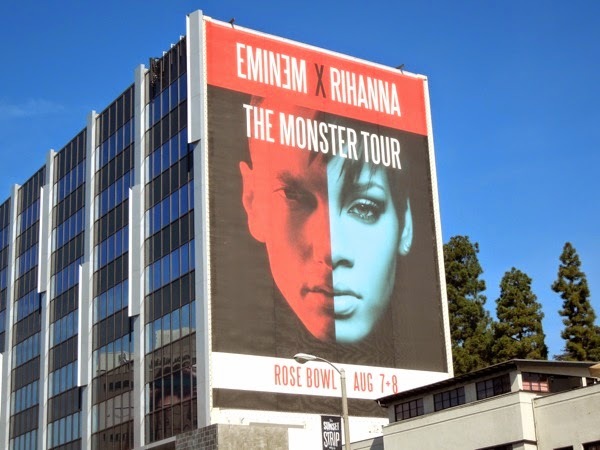 This spectacular red and blue giant ad creative for the rapper and singer's L.A. leg of The Monster Tour at the Rose Bowl in August makes a real impact and evokes Barack Obama's iconic 'Hope' poster ad from his 2008 presidential campaign by artist Shepard Fairey. 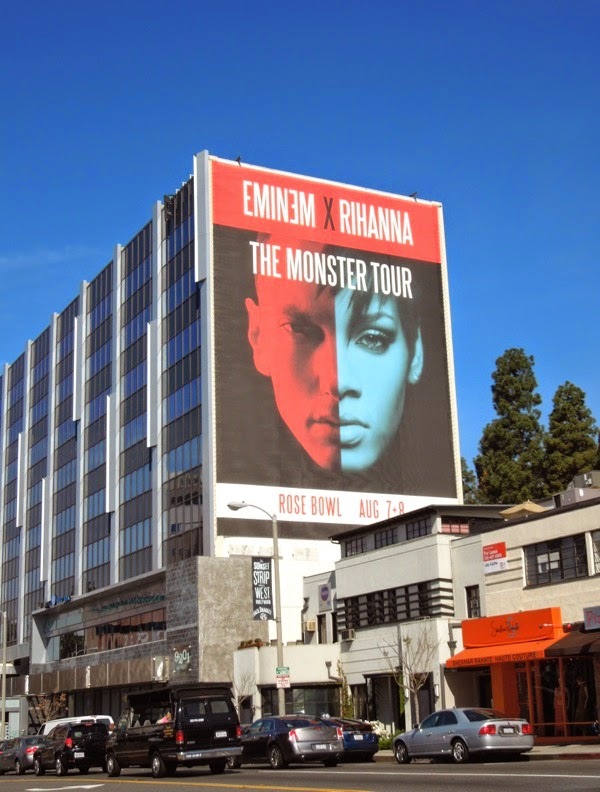 Obviously it wasn't enough that this powerhouse duo collaborated on 'The Monster' No. 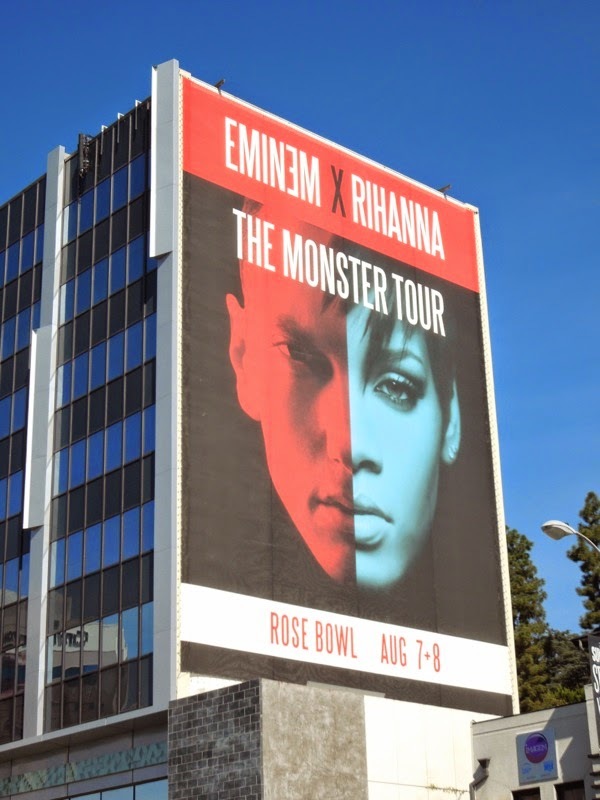 1 hit single from The Marshall Mathers LP 2, now they are going to wow audiences on a three-city tour kicking off in L.A., then heading to New York and Detroit. If you can't wait until then, you can also catch Em and Rih Rih performing their monster hit at the 2014 MTV Movie Awards this Sunday. 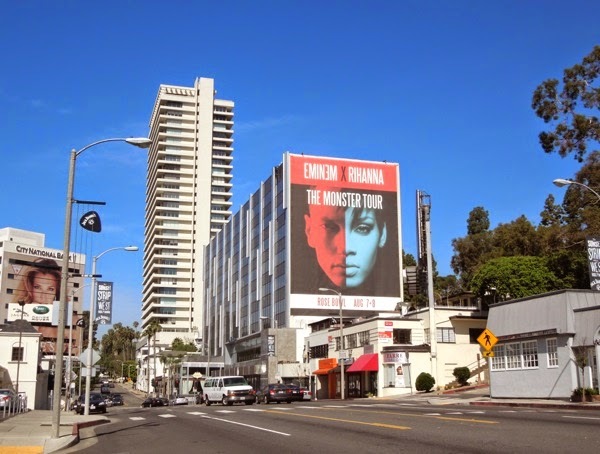 This super-sized billboard was snapped along Sunset Boulevard in West Hollywood on April 10, 2014 and if you're a fan of the Barbadian beauty, be sure to also check out these other Rihanna billboards from around L.A. and New York City.